Words cannot express how amazing this party was! The Very Hungry Caterpillar by Eric Carle is Kaia’s favorite book so it was the perfect theme for her party. With some help from the event planners, One Sweet Day, Kaia’s parents did a wonderful job putting together such a fabulous birthday party! Look at these gorgeous set-ups! The welcome table, the head table, the stunning cake from Cake Creamery, etc…. everything was absolutely adorable that I enjoyed capturing all the fun details! I chose this awesome local play space called the Rec Room in Berkeley, CA that has a lot of the modern industrial elements that I loved - string lights, reclaimed wooden bars and tables, and these bright yellow metal chairs. I really wanted to make this a party that didn't scream "KIDS' PARTY" and keep it really clean with a lot of personal, handmade touches.Theme-wise it was black and white (my favorite color palette) and even though I mostly do wedding designs/calligraphy/hand lettering, I kept it super modern with bold typography, starting with the invitations - the enclosure and bow were made to resemble a 'hanbok'. I also used outlines for a lot of the typographic elements to play off of the idea that his life is his to fill as he sees fit. I'm sure you know the Korean tradition of picking an item that represents his future, and after a mega-meltdown, he chose a gavel! A lot of the signage wording was written tongue-in-cheek to fit our personalities and infuse some humor.Black/white and gray chambray was used to soften the overall look - used as a welcome banner as well as name banners behind the cake table. Rather than wasting time and energy on traditional Korean bean towers (dolgoim) I used vinyl letters on the chambray, hung on handmade wooden hangers.Food! We had it catered by a local Korean BBQ place and had a DIY bibimbap bar, which was a huge hit. Desserts were the most amazing ube cookies and an alternating chocolate/vanilla smash cake made by a friend I'd met at a wedding I coordinated. We also had our favorite ube ice cream from Cookiebar Creamery catered in individual cups.And my favorite touch was the custom portraits of each family/couple who attended, sketched by my kid sister - who took the time out of her busy college schedule to sketch almost 50 people! These were laid out at the entrance on handmade walnut photo stands. She also did a portrait of my son which I made into coloring pages for a fun activity guests could enjoy. As another fun gift for the kiddos, I handmade bowties and hair clips using the same chambray fabric. This party was styled in lieu of the book "Where the Wild Things Are". Without being tooo literal, we have small tid bits and textures that paid homage to this literary classic. I love the rustic married with the sun kissed lighting that come through the trees. Nature, you truly are a wonderful element to any occasion. 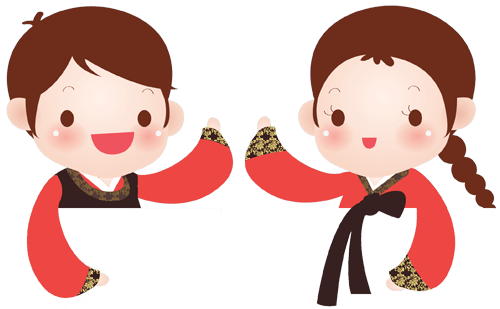 Learn all about the traditions of a Korean first birthday celebration. See how you can implement this fun tradition to your little one’s first birthday! We strive to maintain a high quality vendor directory that is monitored daily to bring you accurate and relevant vendors tailored to your needs. Find out everything you need to know about our vendor directory. Whether you’re a parent looking to plan your child’s 1st birthday party or a vendor looking to join our vendor program, view some of our frequently asked questions. If this didn’t answer your question, please ask us! Below are some of the Featured Vendors from our Vendor Directory. Note: The selection of featured vendors have been randomly selected from the pool of vendors with profile photo listed in our vendor directory. View some of our recently uploaded parties below.